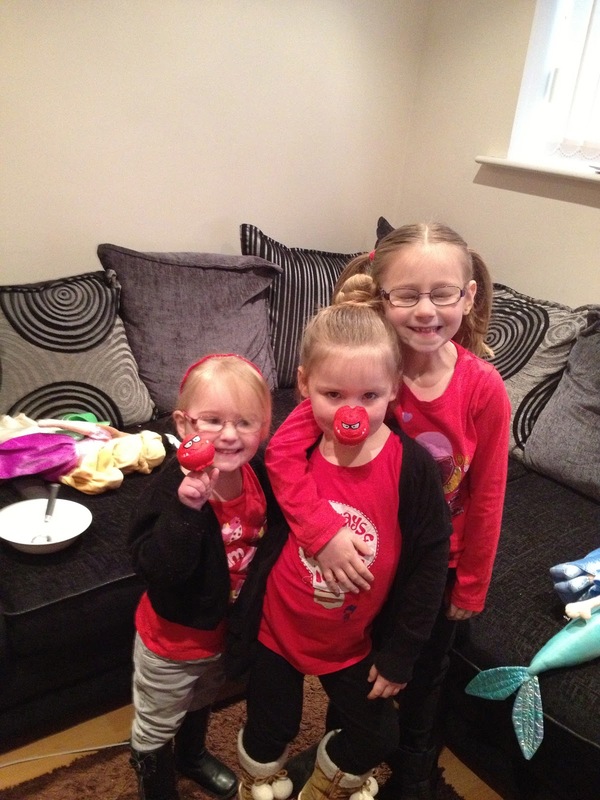 I'm sure you all know that today is Red Nose Day. I have to admit I am a bit rubbish when it comes fundraising but I always donate a bit of money to this cause. Today the kids have to take in a £1 each to school and in exchange they get to wear their own clothes as long as they wear something red. Little Gracie joined in, even though she doesn't go to school, bless her. What are everyone elses plans for today, have you done any fundraising? I would love to know. My 2 have gone to school dressed as Superheroes for Comic Relief today, and have taken some pennies to buy cakes at breaktime. I will also be trying (but probably failing) to watch the whole show tonight! Gemma is Batwoman and Jacob is Spiderman - pretty sure there will be no cake left for me!